Payment must be made before delivery. For cheque and bank draft payment please contact us first for details. 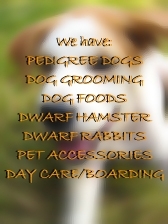 In the event any product is unavailable, Pets buddy Station reserves the right to substitute them with similar products of equal or greater value. All orders received will be confirmed immediately by our sales team. If you do not hear from us within 24 hours of sending in your order, please contact us. All information contained in our online catalogue is subject to change without prior notice.